In a recent article, we delved into teaching kids about food safety. As a follow up, it’s important to also teach kids about food cross contamination and cleanliness. This is such a major topic, it deserved its own article! Young preschool-age kids should also learn that that our cleanliness as humans also affects how easily we can get sick from foods. This is because those ‘tiny little bugs’ (i.e. bacteria) can ‘hop’ from place to place, hitching a ride on our bodies or our things. This is called cross-contamination. And, it’s really simple to prevent! We just have to stay clean. The prevention of cross-contamination can cover multiple topics. Below is an idea for a breakdown of categories. You can teach one of these lessons per day, or per week, then practice with the kids. In our past article we touched on the matter of teaching kids about bacteria that our eyes can’t see. It’s important to make sure kids know that the harmful parts of food cleanliness are usually invisible. So just because a surface area looks clean, it might not be. That’s why we need special cleaners, like soap, to wash things. Kids may already be learning, as a rule, to wash their hands before eating, after using the toilet or if they cough or sneeze. However, teaching food safety at daycare can be an opportunity to explain why washing hands is important. This directly relates to cross contamination. Before and after snack time, wash hands at the sink with the kids. Teach them to use soap to get all the food off their hands. That way, the food bacteria won’t end up hurting others in the classroom. This also applies when preparing food, like a baking activity for instance. Also explain that if our ‘poo-poo’ and ‘pee-pee’ gets into our mouths, or the mouths of others, we can get really sick! And so, we should let cross-contamination happen when we’re eating. That’s why washing our hands after using the bathroom is really important. And, while animals are ok to pet, before we eat, we should be washing our hands. That’s because animals might carry bacteria that are not healthy for humans – especially not healthy to have in our food! When washing hands, it’s important kids learn to do it right. Get them to sing happy birthday while soaping up, so they know how long to wash hands for the ‘right’ cleanliness. Aside from washing hands, kids should know, and practice the activity of keeping their surroundings clean. Learning how to wash dishes, or wipe tables is an important skill when teaching food safety at daycare. Of course, you’ll want to use plastic, non-breakable dishes and ‘safe’ cleaning products for this lesson. In fact, cleaning with a vinegar solution may be the safest for kids, if other options aren’t available. This can be a chore in the classroom to get kids learning how to keep clean. Wikihow has an article on how to teach kids to wash dishes here. And, the Huffington Post has an article about making cleaning a fun, ‘normal’ activity for kids to participate in. If you can get access to the tools and materials needed for demonstrating cross contamination, you can try to show kids how fast bacteria spreads from dirty hands, surfaces or objects. You can use lab-based materials, like agar plates, to show how quickly bacteria can grow. Here is one article that discusses the experiments you can try. It also explains the effectiveness of giving more than just ‘textbook’ knowledge when teaching food safety. If lab materials are out of reach, this blogger managed to get hand bacteria to grow on bread! Give that a try! You can also show them this video, where a grade 4 class used a special light to see the bacteria spreading in their classroom and on their bodies. According to this blogger, when teaching kids to clean up after themselves, it may be necessary to create ‘zones’ where kids can eat. If the crumbs and foods get into the toys or other areas of the home or classroom, the mess can be a problem for later. For example, mouldy bread might end up ‘hiding out’ at the bottom of a bin of toys, or in couch cushions. Of course, given the size of your facility, you’ll need to decide which approach is best for you. The other aspect of food cleanliness has to do with the food itself. Some foods, if not washed, can pose a food hazard to kids at daycare. For example, it’s important to wash veggies. You can show kids vegetables that were not washed, and that still have dirt on them. Usually you can find dirt on potatoes and in salad ingredients, like leafy kale or lettuce. The kids can see visually why the produce needs to be washed. You can also go through this resource by the Government of Canada, which fully explains how the ‘dirt’ on much of our produce can be contaminated. Each link gives a summary of the cause of contamination, and the risks. Of course, you’ll need to adapt the resource to be kid-friendly for your classroom! But it’s not just dirt that can be found on vegetables! Show kids the way the open environment in a farm can lead to a contamination of animal feces, which then carries harmful bacteria that can hurt us. Also, chemicals used in food production on the farm can leave residue on our fruits and vegetables. For this reason, it’s also important to wash all our produce, even if they look clean on the outside. To conclude, keeping kids safe from food-borne illness at daycare requires quite a bit of education in the classroom. You can use ‘reminder’ material like charts or posters to keep the kids informed ‘on the go’ (such as at hand-washing stations). All of these topics, in one way or another, also involve science. So, you can use this useful topic and turn it into a preschool science curriculum! The application and practice of this knowledge can get kids to do their part in preventing food safety issues at daycare. 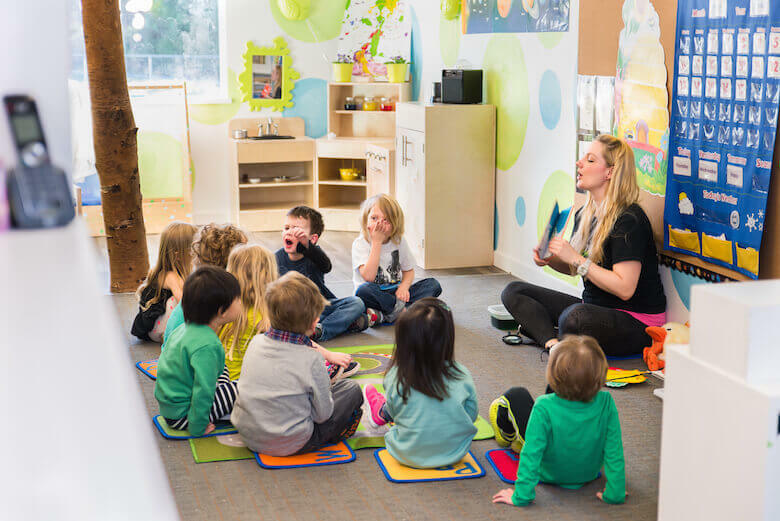 How do professionals evaluate the quality of daycares and preschools?